DogAdopt is a script for rescue dogs. It uses FCI database and has 4 statussen adopting your dog. 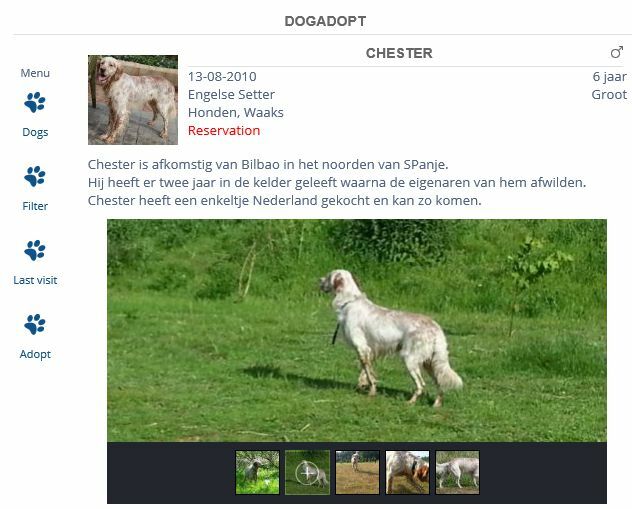 Filtering rescuedogs on breed, size and behavior makes it easy to find your dog. Show as much pictures as you want and upload them easily. A last visit page shows up to 8 dogs to go back easily. Follow your adopt-status on your own adopt-page and get notifications about important dates and statuschanges. Finding your rescue-dog was never so easy with DogAdopt. Try it at our demo site Ask for a testaccount to work with DogAdopt and discover how easy it works.